Suzuki has taken a major step in making their hydrogen powered scooter, the Burgman, ready for the commercial market. Recently, the scooter was approved as safe to use on public roads in Europe. The approval means that the Burgmen no longer needs to obtain individual state approval to travel on European roads. Intelligent Energy, the company that provides fuel cells for the Burman, announced that the vehicle had achieved the Whole Vehicle Type Approval from the UK’s Vehicle Certification Authority. 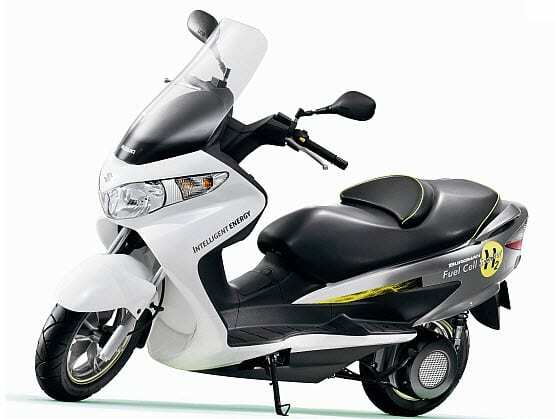 The approval means that the scooter’s design meets or exceeds the performance standards for conventional motorbikes. Hydrogen storage has been criticized as dangerous. The gas is highly combustible and there are fears that damage to the tanks that store the fuel can be catastrophic. The decision from the Vehicle Certification Authority may be enough to sate the fears of those skeptical of fuel cells. The next step for the Burgman, according to Suzuki chairman and chief executive of Suzuki, is to begin rolling out the scooters across Europe. As long as governments take active steps in establishing an infrastructure capable of supporting hydrogen powered vehicles, the scooters are likely to be a success among environmentally conscious consumers. The Burgman will be released in Europe for limited retail purchase in 2012, and will be available to the general public by 2015. The price of the scooters, however, is not likely to decline until production of fuel cells becomes more cost effective.